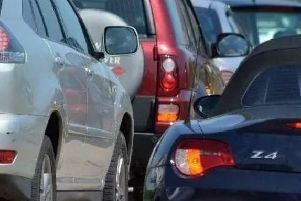 Peterborough motorists are facing a network of roads with much more traffic on than normal today as drivers divert off of the A1, which remains closed, and through our city. * The A1260 Nene Parkway northbound is congested between J33 A1179 Longthorpe Parkway and A47 Soke Parkway J15. * The A47 is at a standstill between the A1 and Milton Park. The A1 is likely to remain closed for several hours today following this crash - more details here.